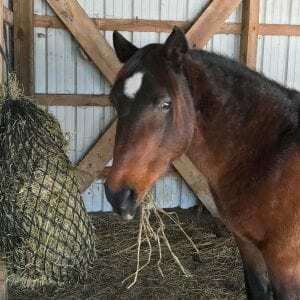 Hay – it’s what’s for dinner! Also breakfast, lunch, and a few snacks in between. Quality hay is the mainstay of our rescued horses’ diet. Horses are grazers. In the wild, they spend the majority of their time foraging for food and it’s important to recreate this behavior with domestic horses as well. 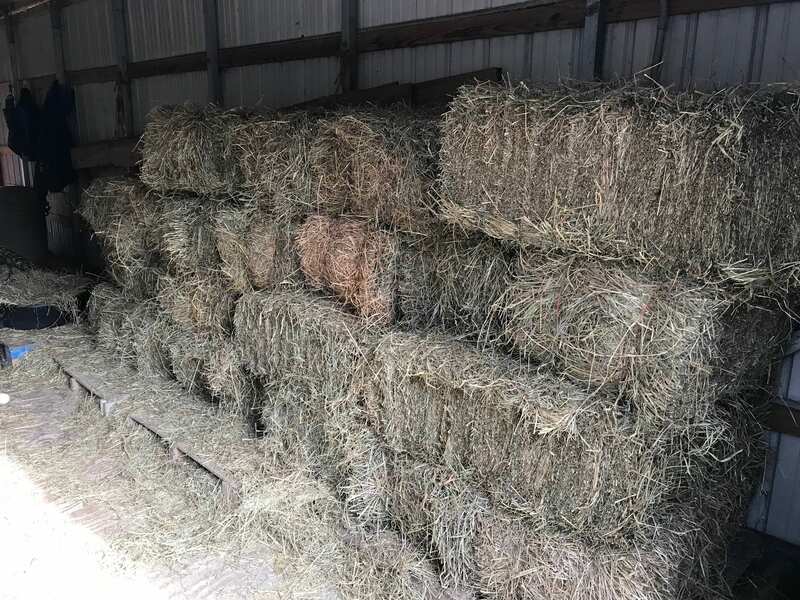 The horses at the Betsy Dowdy Equestrian Center are given hay in what’s called slow feeders; special nets that mimic the horses’ natural grazing and foraging behaviors. For just $70 you can sponsor Hay For A Day, or $35 to sponsor hay for half of a day, and help support Amadeo, Buster, Roamer, Little Star, and all the rest of the horses under the Fund’s care. The Corolla Wild horse Fund is a 501 (c) 3 nonprofit. We do not receive any state or federal funding. We raise over 90% of our budget through donations, special events, memberships, sponsorships, grants, and mission-related merchandise sales. 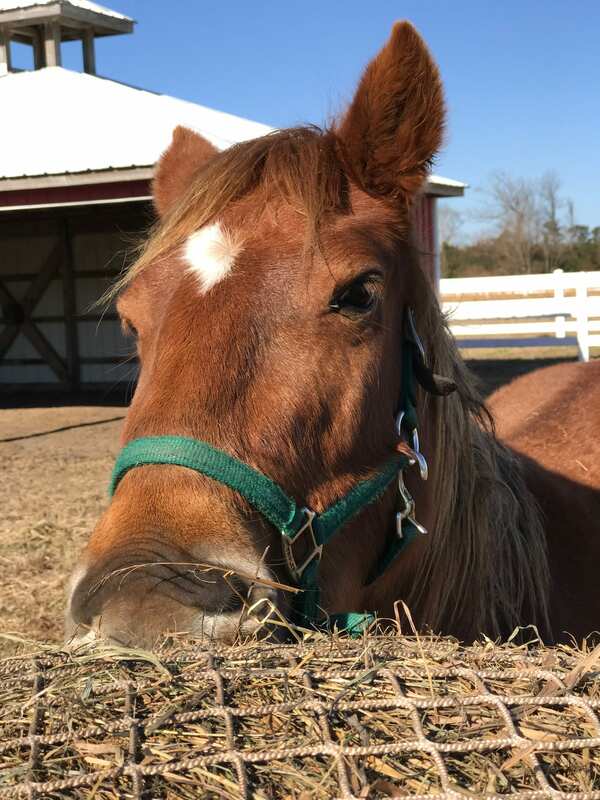 Every dollar donated helps to further our mission to protect and conserve the Colonial Spanish Mustangs living on the Northern Outer Banks. Contributions are tax deductible in accordance with IRS regulations.